Lisa Witherspoon has recently relocated from Illinois. 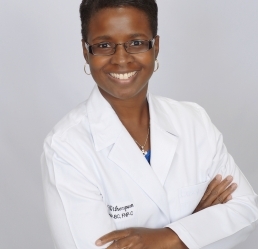 She has been practicing as a board certified nursing professional for over 17 years. She received her Bachelor’s of Science Degree in Nursing from Purdue University at Fort Wayne, Indiana. She completed the Women’s Health Nurse Practitioner (WHNP) Program at Stony Brook University of New York where she earned her Master’s in Perinatal/Women’s Health in 2006. Lisa recently completed requirements to earn her Family Nurse Practitioner Certification from Olivet University in Oak Brook, IL. Lisa’s qualifications authorize her to serve obstetric and gynecological patients. Procedures that she is qualified to perform include colposcopy, Nexplanon insertions, IUD placements and endometrial biopsies. She will be supporting the medical staff accordingly. NP Lisa Witherspoon is available to see patients. All patients new and old are welcomed to use her services. Lisa a great asset to our family and medical staff.